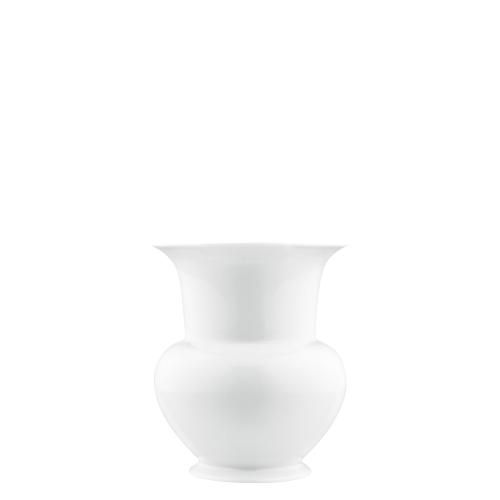 Fresh flowers will add liveliness and a naturally harmonious atmosphere to any room. 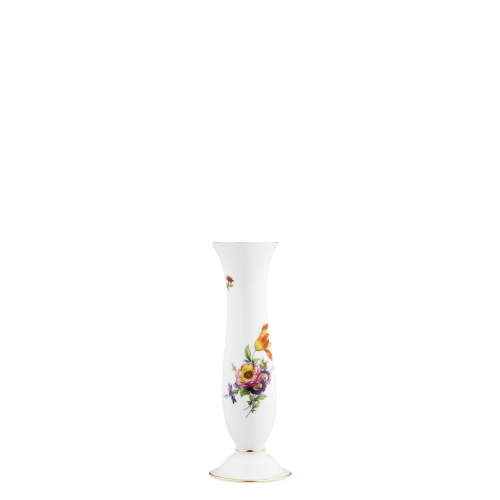 A pretty bouquet deserves to be displayed appropriately in a high-quality porcelain vase. 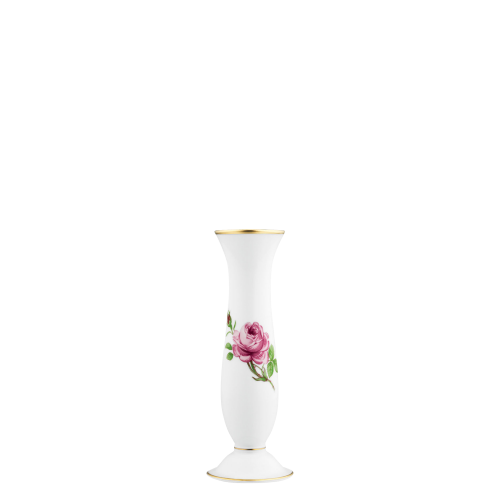 Whether fragrant roses, brightly-coloured gerbera or delicate springtime arrangements, a FÜRSTENBERG vase is the perfect frame for your flowers. 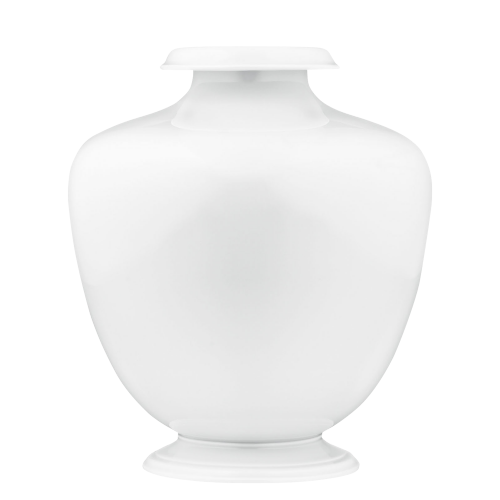 The majority of the large and small models, with wide and narrow openings, in linear or curved forms, with and without decorations, are perfect both for single blossoms and large summer bouquets. 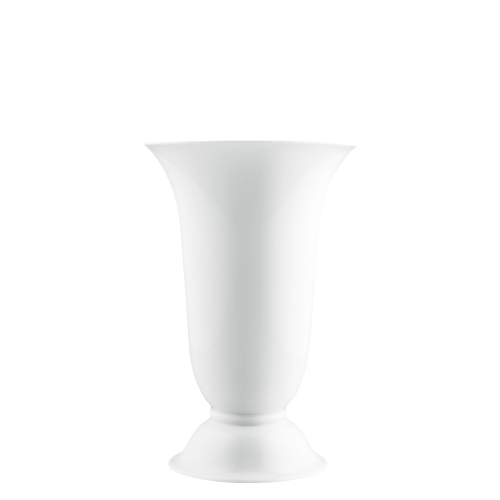 Highly sophisticated: the contemporary conical vases FER FORGÉ and LES FLEURS can be combined with a decorative flower arranging insert in a choice of classic white and elegant gold – perfect for achieving a creative play with flowers and leaves. 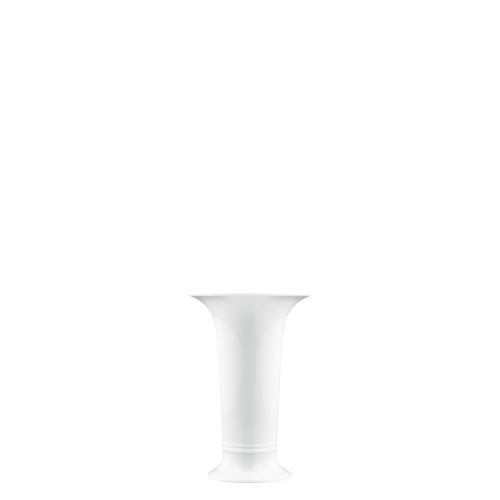 The option of a plain or multiply perforated insert makes it even easier to achieve professional-looking floral arrangements at home that will work and last for a long time. 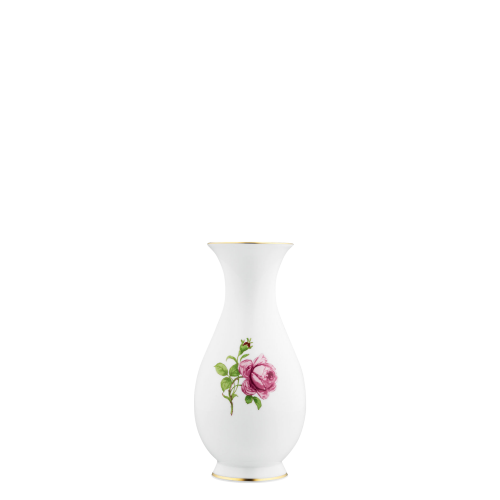 However, FÜRSTENBERG vases don’t have to be filled with flowers to catch the eye. 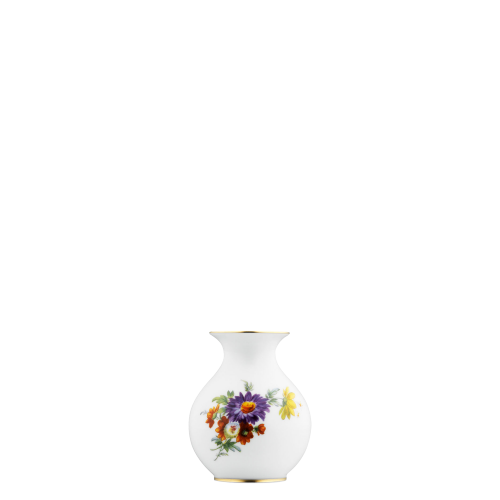 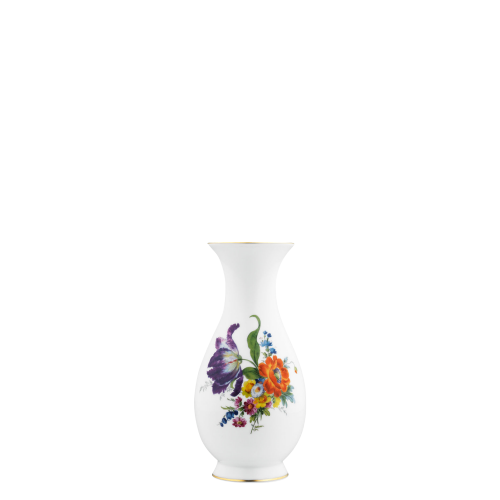 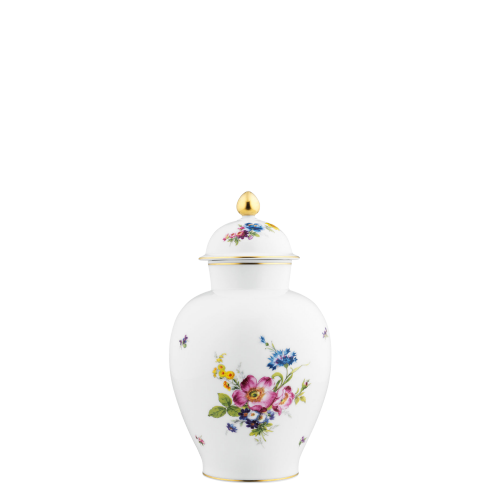 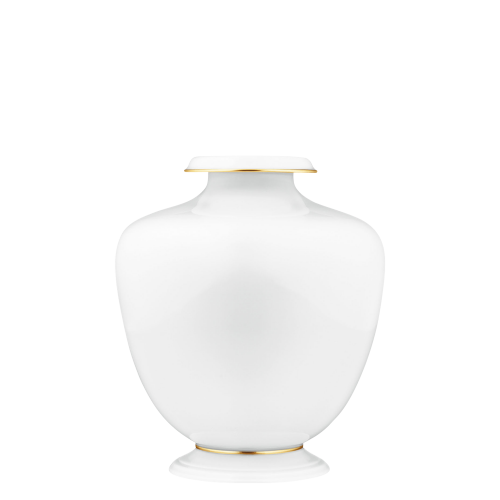 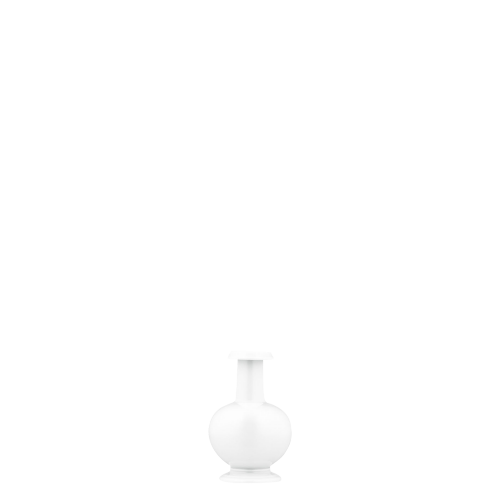 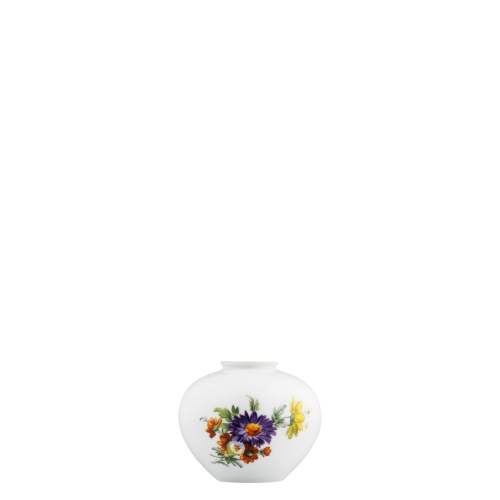 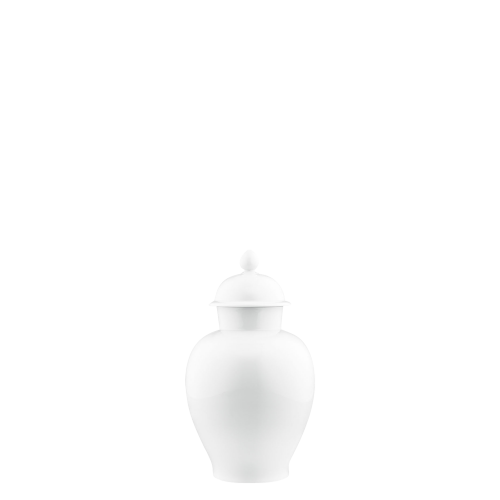 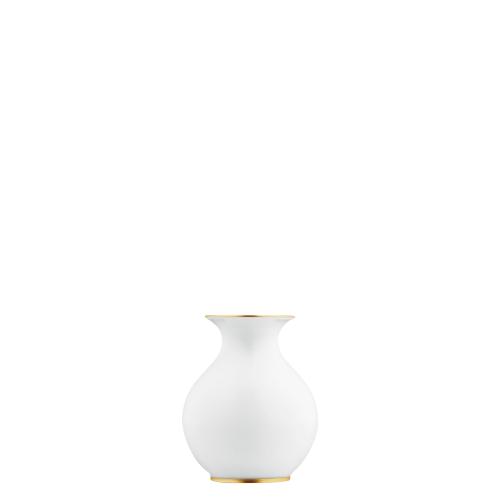 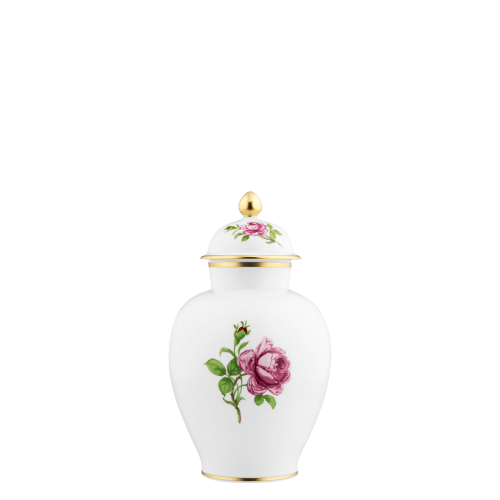 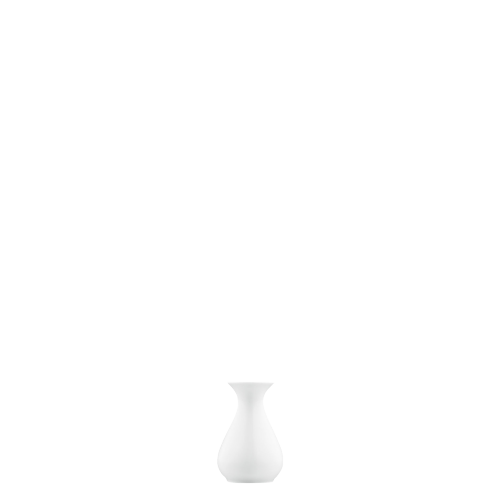 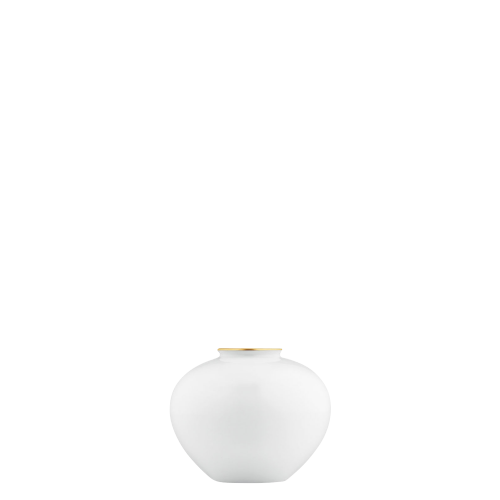 The elegant porcelain vases are also elegant decorative items by themselves. 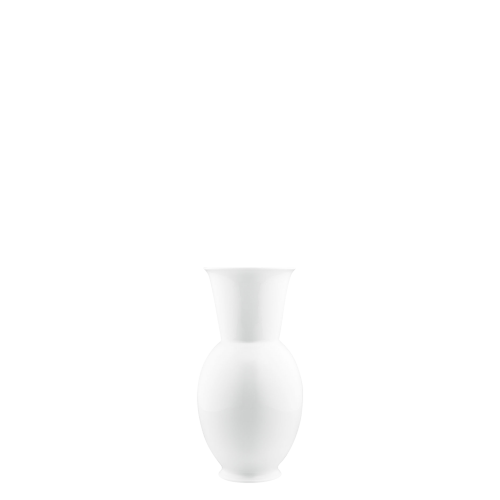 The tremendous selection in the online shop contains the perfect finishing touch for any interior design style: from traditional to modern, playful to puristic, from large floor-standing vases to the tiny coloured ball vases in the MÖLLER range in the style of the 30s and 50s. 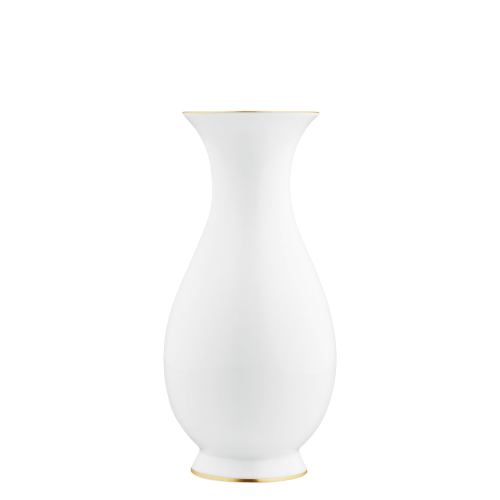 As well as classic white, many of the vase series are available in a wide range of patterns, from the ever-popular floral patterns to luxurious gold to graphic contrasts in black and white, such as the SIEGER by FÜRSTENBERG series LUNA. 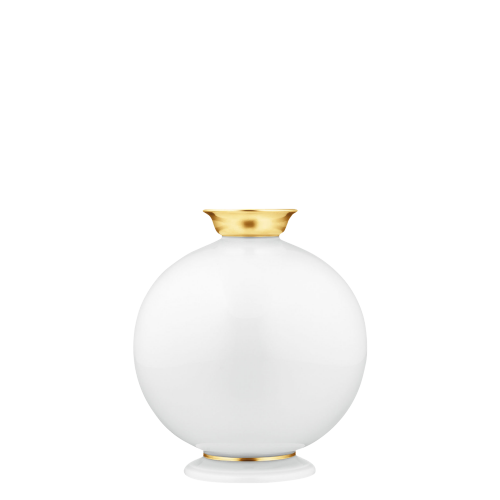 One particular highlight is the unique crystal glaze of the SOLITAIRE collection. 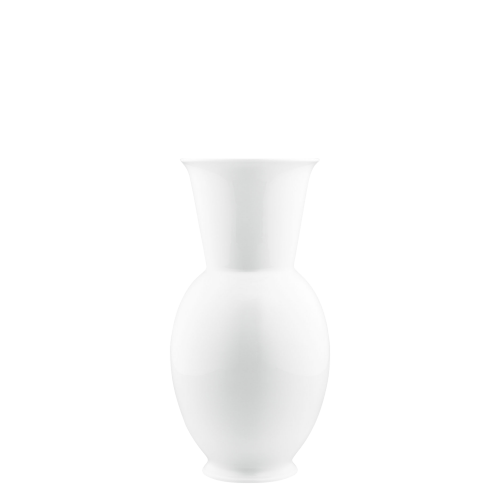 Depending on the shape of the vase, individual crystallisations occur during the extensive firing process that ensure each vase is a unique item of fascinating beauty. 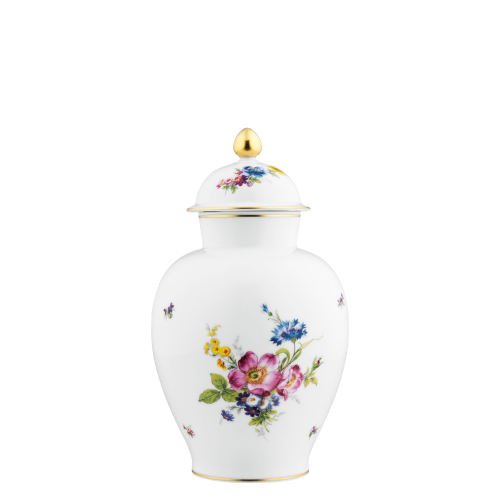 The care and passion for craftsmanship with which every item is produced by FÜRSTENBERG at its traditional location in Germany’s Lower Saxony is also brought into your home with every vase. 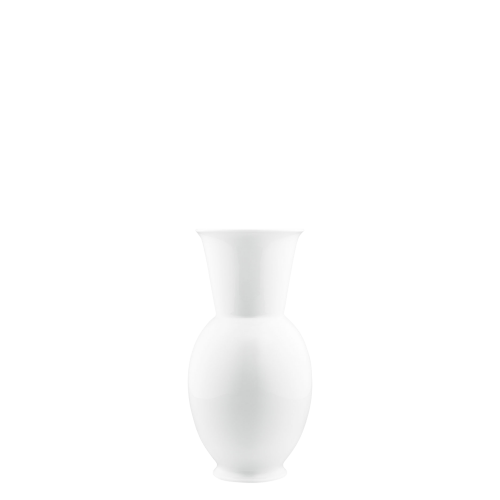 Whether the design was created in our own studio or in collaboration with designers of international renown, the vases are not only all functional but also of exceptional aesthetic appeal. 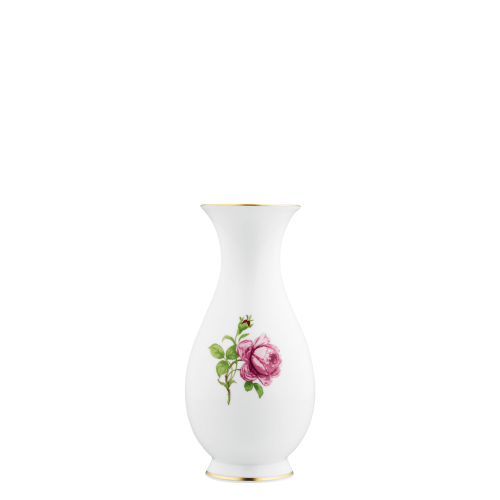 Clever details such as the arranging insert and the exclusive designs that are all lovingly applied by hand give each vase its special character. 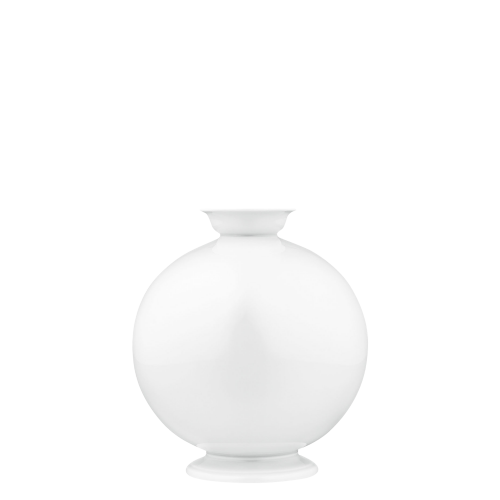 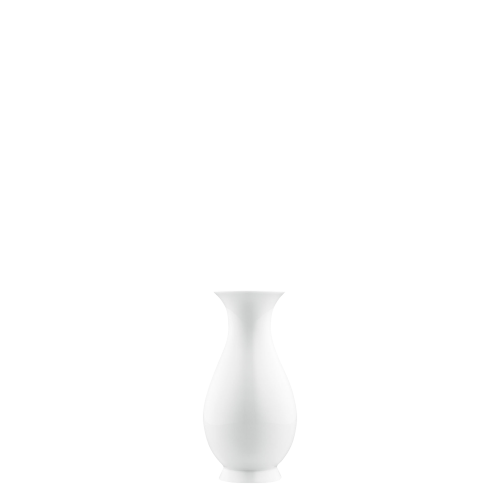 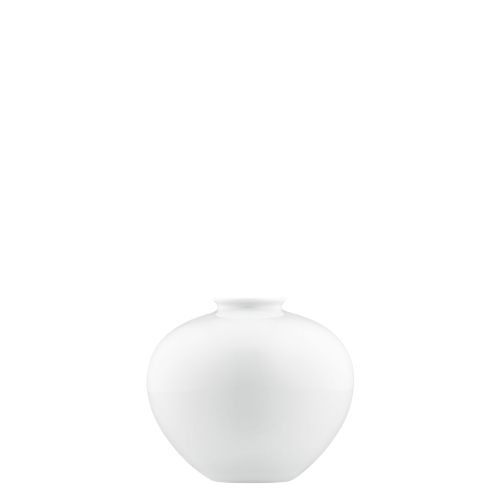 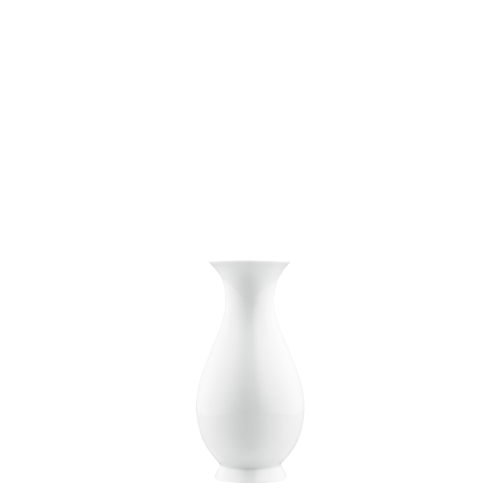 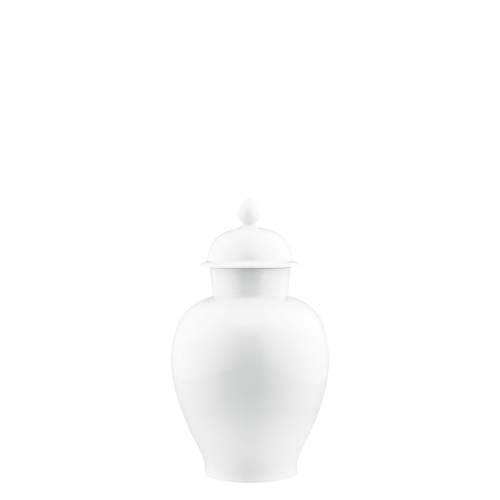 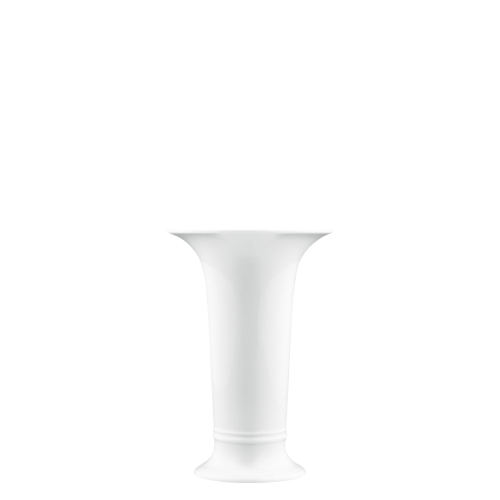 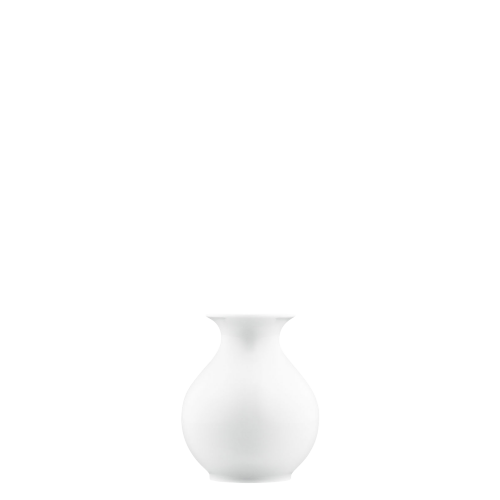 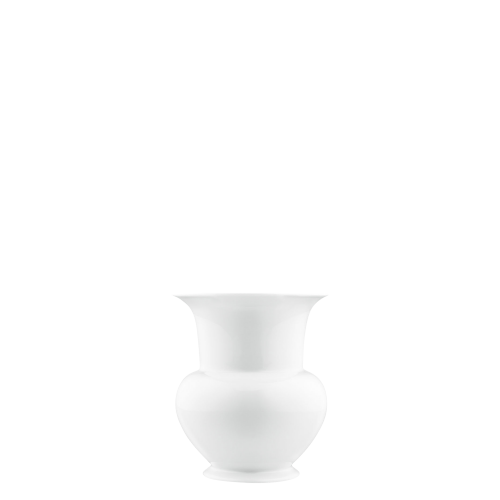 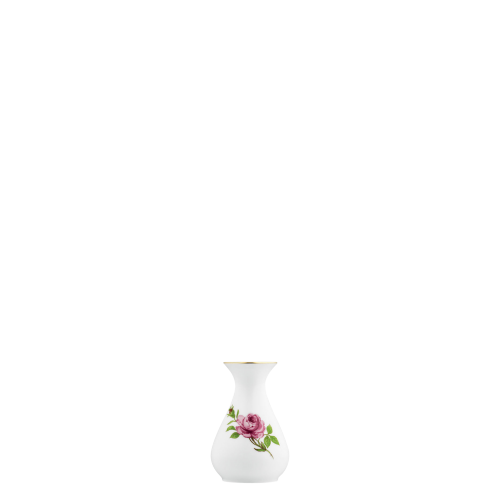 These high-quality vases made of manufactured porcelain will provide years of pleasure for anyone who loves flowers. 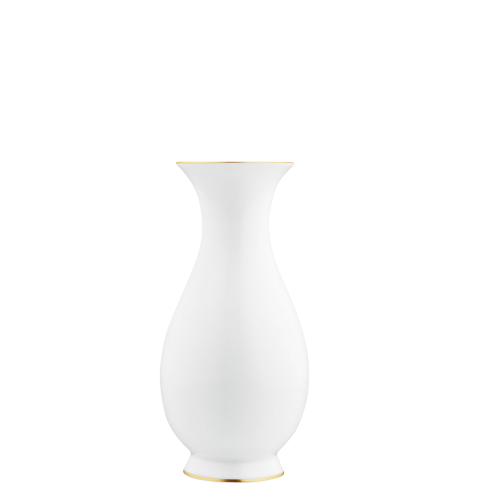 Of course, vases also always make perfect gifts – it is almost impossible to ever have enough of such decorative and versatile vases.